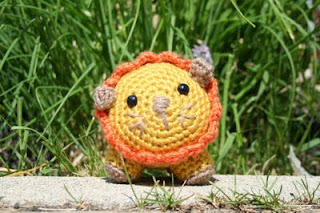 I finished the Lion! 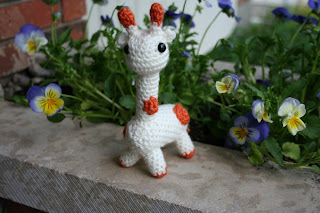 I love amigurumi animals, so cute. I would love to have them sitting in my cubicle area at work to brighten things up, but my kiddies love them too much. I would feel bad if I did not leave them at home for them to enjoy! Back to my office, it is very uninspiring. Recently (last week) I bought a plant for my area, I hope it lives, we have no natural light. I thought that if it looks like it needs a little boost I can bring it home for short periods of time. I am trying to figure out what else I can bring in to brighten things up. I have some family photos, but really I do not have a lot of space and I am surrounded by papers, folders and binders. 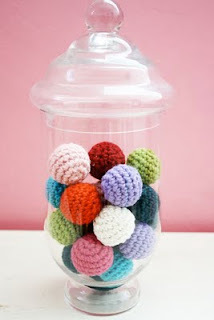 The picture is from unwind: crochet patterns and tutorials.﻿ Something about crochet balls make me happy!